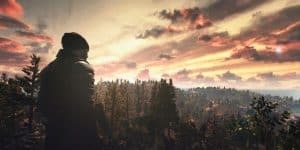 PlayerUnknown's Battlegrounds Will Have Cross Network Play | Nerd Much? In an interview with VG247, executive producer of PlayerUnknown’s Battlegrounds Chang Han Kim stated that the game will definitely have cross network play between PC and console eventually. The developers do not anticipate any technical issues, but they are considering the competitive differences between those that play with a mouse and keyboard, and those that use controllers. Chang Han Kim explains that they will need to allow for aim assist for players that use controllers, and that’s why cross network play won’t be happening right away. It would certainly be exciting to add more and more players to the pool, as Battlegrounds has already reached 4 million sales on the PC and it’s been quite popular among streamers. I didn’t think I’d find such simple concept interesting, but after watching a few streams of the game, I admit it looks like a very good time with friends. Especially when a little silly role-playing is added to the mix. As such, the more the merrier and the more challenge for players. Battlegrounds will be releasing November 17, 2017 on the Xbox One and will likely come to the PS4 in 2018 but there has been no official confirmation from Bluehole studios.